Involved in double-strand break repair and/or homologous recombination. Binds RAD51 and potentiates recombinational DNA repair by promoting assembly of RAD51 onto single-stranded DNA (ssDNA). Acts by targeting RAD51 to ssDNA over double-stranded DNA, enabling RAD51 to displace replication protein-A (RPA) from ssDNA and stabilizing RAD51-ssDNA filaments by blocking ATP hydrolysis. May participate in S phase checkpoint activation. Binds selectively to ssDNA, and to ssDNA in tailed duplexes and replication fork structures. In concert with NPM1, regulates centrosome duplication. Breast cancer (BC) [MIM:114480]: A common malignancy originating from breast epithelial tissue. Breast neoplasms can be distinguished by their histologic pattern. Invasive ductal carcinoma is by far the most common type. Breast cancer is etiologically and genetically heterogeneous. Important genetic factors have been indicated by familial occurrence and bilateral involvement. Mutations at more than one locus can be involved in different families or even in the same case. Note: Disease susceptibility is associated with variations affecting the gene represented in this entry. Pancreatic cancer 2 (PNCA2) [MIM:613347]: A malignant neoplasm of the pancreas. Tumors can arise from both the exocrine and endocrine portions of the pancreas, but 95% of them develop from the exocrine portion, including the ductal epithelium, acinar cells, connective tissue, and lymphatic tissue. Note: The disease is caused by mutations affecting the gene represented in this entry. 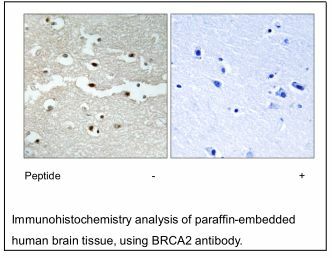 Breast-ovarian cancer, familial, 2 (BROVCA2) [MIM:612555]: A condition associated with familial predisposition to cancer of the breast and ovaries. Characteristic features in affected families are an early age of onset of breast cancer (often before age 50), increased chance of bilateral cancers (cancer that develop in both breasts, or both ovaries, independently), frequent occurrence of breast cancer among men, increased incidence of tumors of other specific organs, such as the prostate. 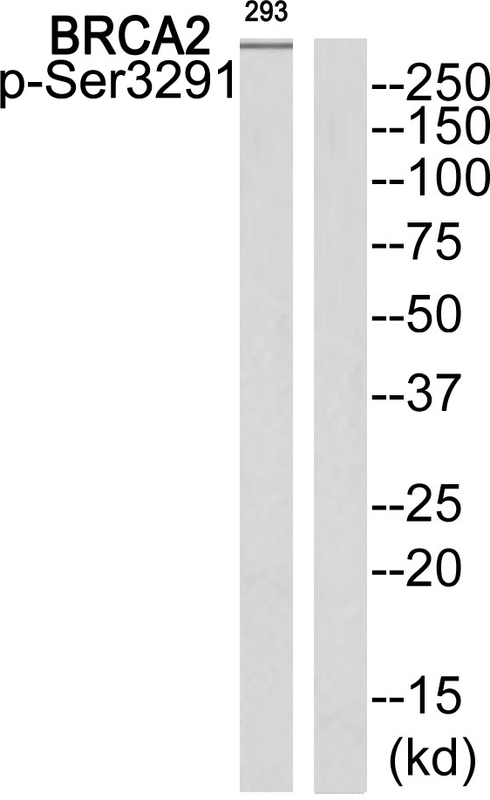 Note: Disease susceptibility is associated with variations affecting the gene represented in this entry.Fanconi anemia complementation group D1 (FANCD1) [MIM:605724]: A disorder affecting all bone marrow elements and resulting in anemia, leukopenia and thrombopenia. It is associated with cardiac, renal and limb malformations, dermal pigmentary changes, and a predisposition to the development of malignancies. At the cellular level it is associated with hypersensitivity to DNA-damaging agents, chromosomal instability (increased chromosome breakage) and defective DNA repair. Note: The disease is caused by mutations affecting the gene represented in this entry. Glioma 3 (GLM3) [MIM:613029]: Gliomas are benign or malignant central nervous system neoplasms derived from glial cells. 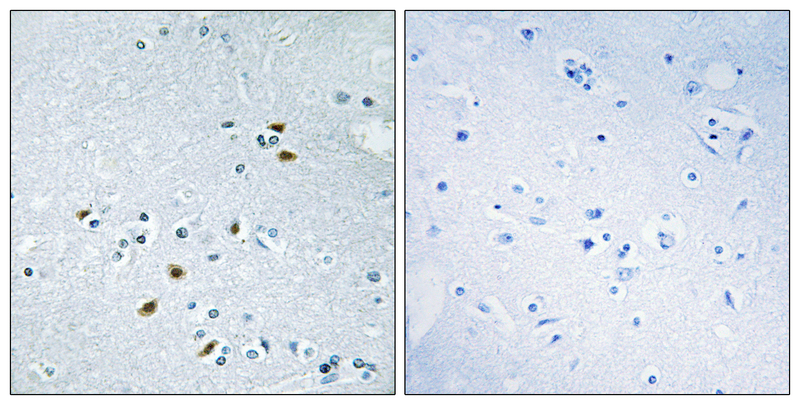 They comprise astrocytomas and glioblastoma multiforme that are derived from astrocytes, oligodendrogliomas derived from oligodendrocytes and ependymomas derived from ependymocytes. Note: The disease is caused by mutations affecting the gene represented in this entry.